THE BEST NEW PRODUCTS FROM NAMM 2019! Established in 1901, the National Association of Music Merchants (NAMM) is a not-for-profit organisation that continually strives to strengthen innovation in music equipment. For many music makers, their annual trade show is the event of the year! At The Insurance Emporium, we like to stay in tune with the things we’re passionate about. So we’re sharing our pick of the best new products from NAMM 2019! Possibly the product with the most retro feel announced at NAMM 2019 was the Dreadbox Hypnosis Time Effects Processor. It’s a black, neon pink and green time-based desktop effects processor with true 80s style! Aside from the vintage-look, it’s a synth with three effects in one, with chorus-flanger, reverb and delay sections. Using stereo analogue and three LFO waveforms, it also features a digital delay with three delay types and a Freeze function, providing some amazing opportunities to play with all that sound! Another retro-synthesiser featured at NAMM 2019, but updated for the 21st century – the 1980 Synclavier III Digital Synthesiser has been turned into an app! Synclavier Digital have created the GO! and Pocket! for Apple devices, which are faithful recreations of the FM and Additive-Synthesis functions of the original. The app has been developed in order to mimic the fast workflow of the original synth, for fantastic retro sound that fits in your pocket! Soundbrenner brought their new product, the Core, to the show. It’s a brand new smartwatch that’s packed with features for musicians! A key element is the vibrating metronome, which can synchronise with up to ten other devices, so there’s no excuse for the band to be out of time! 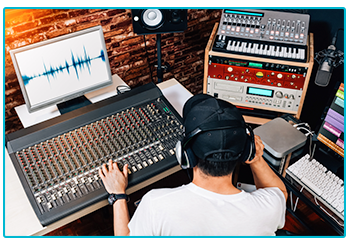 In addition, the tech features a magnetic tuner that’s compatible with a number of instruments, as well as DAW integration. Aside from all this, it also functions as a very good watch! A new one-of-a-kind product announced at the event is the Akai Pro Force, a completely standalone production system for DJs and producers. Combining a sampler, synth and performance equipment all in one, it works similarly to existing digital audio workstations. The big difference here is there’s no need to hook it up to a computer! Really user friendly, Force should allow for instinctual digital music creation, and could potentially turn out to be a game changer! Custom guitar makers, Balaguer, are expanding their range to include effects pedals! The Fission Drive, an overdrive and distortion pedal is unique because of its dual voicing options. With ‘modern mode’, musicians might expect a clear, clean sound with articulate harmonic content. Whereas in ‘vintage mode’, expect extra bass that blooms more, which might make this the perfect setting for heavier styles! There were so many fantastic new items at the event, it was really tough to choose just five! We hope, however, that our selection has managed to get your creative juices flowing! 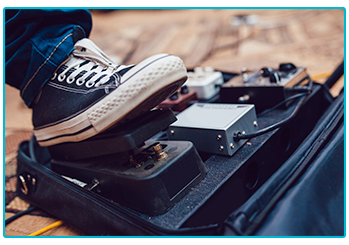 If you’re involved in music yourself, it could be a good idea to think about getting insurance for your precious equipment. The Insurance Emporium offer 25% Introductory Discount* on new policies, and with a large range of both Standard and Elective Benefits, you could tweak your policy to suit your musical ambition! If that strikes a chord, why not visit The Insurance Emporium to find out more? * The 25% Introductory Discount is available for the first 12 premium payments on lunar and calendar monthly policies or one premium payment on annual policies. 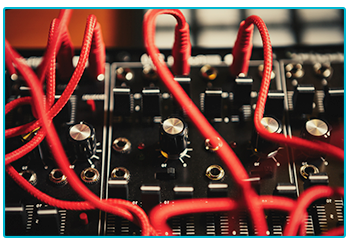 This blog is in no way sponsored, endorsed, associated with or administered by Dreadbox, Synclavier, Soundbrenner, Akai Pro, Apple or Balaguer.